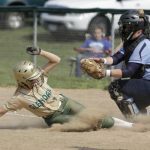 Girls Junior Varsity Softball, Girls Varsity Softball · May 18 Softball Tournament Results!! GlenOak 7, Perry 1 GlenOak 231 000 1 — 7 9 0 Perry 000 001 0 — 1 6 2 Allison and Cook. Deitrick, Durieux (5) and Saibene. WP—Allison 11-3. LP—Deitrick 9-3. HRs—none. Records—GlenOak 18-5, 6-3; Perry 17-7, 5-4. Girls Junior Varsity Softball, Girls Varsity Softball · May 12 Softball Results! GlenOak 7, St. Thomas Aquinas 0 GlenOak 012 301 0 — 7 4 1 Aquinas 000 000 0 — 0 4 4 Allison, Otani (6) and Cook. Lair, Moore (5) and Sherban. WP—Allison 10-3. LP—Lair 9-8. HRs—GlenOak: England, Seatter. Records—GlenOak 17-5, Aquinas 16-8. Notes—Erin Allison struck out 11 in five innings for the Golden Eagles. Girls Junior Varsity Softball, Girls Varsity Softball · May 8 Softball Results!! Girls Junior Varsity Softball, Girls Varsity Softball · May 7 Softball Results!! 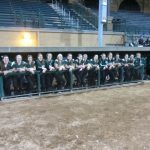 Girls Junior Varsity Softball, Girls Varsity Softball · Apr 29 Softball heats it up with another victory! 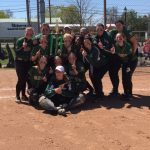 Girls Junior Varsity Softball, Girls Varsity Softball · Apr 27 Softball- Rock N Fire Champs! GlenOak 10, Norton 1 Rock N Fire GlenOak 003 070 — 10 12 3 Norton 100 000 — 1 2 2 Otani and Seatter. Stults, Sullivan (3) and Lucas. WP—Otani 3-1. LP—Stults. HRs—none. 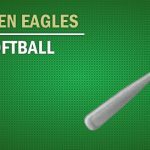 Notes—Olivia Otani was 3-for-4 with two RBIs while Maddie Corrick and Chelsea England each had two hits for GlenOak. GlenOak 1, St.